If your child is a gamer, it’s pretty likely that you have heard of Ready Player One, either the bestselling book or the recent Steven Spielberg film. The book, filled with 80’s pop culture references, is a treat to read and thanks to the gamification plotline, a book that your gamer will surely enjoy. But don’t just suggest this book to your gamer as an antidote to screen-time. You should also read it and share the experience with your child! As you revel in all of the references that bring you back to childhood memories, share them with your child – they likely won’t pick up on all of the references and humor without you. Tell your child which pop culture references you enjoyed the most and if any surprised you. This could lead to you introducing to your child some of your favorite 80’s films, tv shows and games. 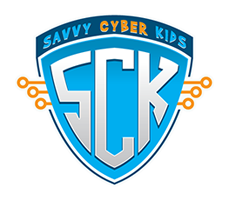 PLUS—and this is the part Savvy Cyber Kids likes most of all – there are some pretty neat cyber safety and cyber ethics themes within the book that you can weave into a digital parenting Tech Talk. If this genre of books are hit in your family, try these other titles. In 2040, most citizens spend their days in the OASIS, a virtual reality world created by James Halliday. This is an escape from a reality that is largely defined by a crumbling society, poverty, a fossil fuel crisis and climate change: Is the internet and gaming used for escape today? Why? And is this a good thing or bad thing or both? If you had an avatar in the OASIS, how would you use your cyber super powers for good? In the OASIS, users can be and do almost anything — which the book’s hero, Wade Watts, believes is the antidote to all social injustice: Is this really the case? Is today’s internet a good, liberating space where anyone can say and do whatever they want? If we have secret identities in our online worlds, does it, as the book suggests, remove prejudice? Or have online platforms become tools for amplifying existing social inequality and harassment. Did the OASIS help or hurt its users in real life? What about the internet and gaming today, does it help or hurt its users in real life? In the OASIS, your true identity and password are kept secret from others – but Wade does not follow that rule throughout the story. Why? In your opinion, was he right or wrong to do so? In real life, have you shared your cyber secret identity and/or password with anyone else? Why is this a good idea sometimes and never a good idea other times? The OASIS becomes a part of daily life for users around the globe. What virtual realms (Google, Facebook, iCloud) do you depend on? What is at stake in the war against IOI, the internet service provider that wants to overturn Halliday’s affordable, open-source approach? Is it dangerous to mix profit and dependence on technology? Explore the question of identity raised in the novel. What do the characters’ avatars tell us about their desires and their insecurities? In reality, does our physical appearance give false clues about who we really are? How does Parzival, transformed into a celebrity gunter, become Wade’s true self? 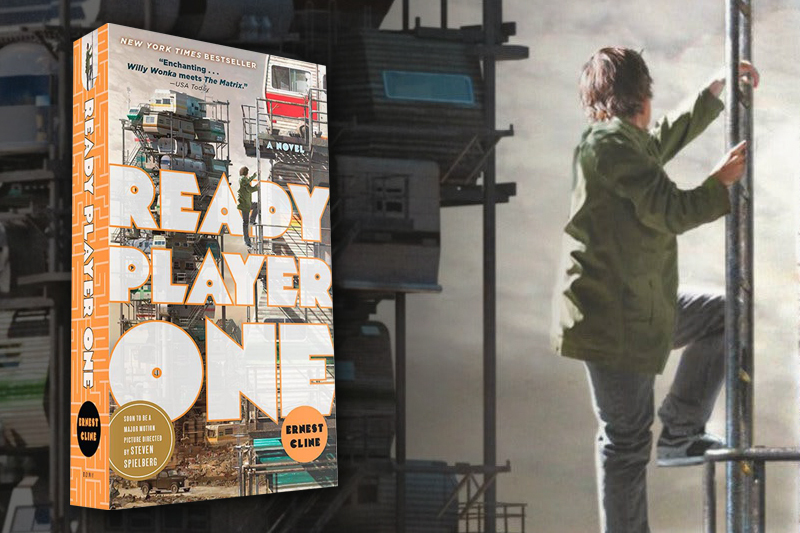 With a narrator who vividly captures the human experience, Ready Player One delivers a world that is easy for us to imagine. In the novel, what was at the root of the grim downturn for Earth’s inhabitants? Could your community start looking like the stacks by the year 2044? How does love affect Wade’s rational mind? Would you have given Art3mis the tip about playing on the left side to defeat the lich (page 99, chapter ten)? Did you predict that she would turn out to be a friend or a foe? How does public school in the OASIS compare to your experience in school? Has author Ernest Cline created a solution to classroom overcrowding, student apathy, and school violence? In his Columbus bunker, Wade puts on so many pounds that he can no longer fit comfortably in his haptic chair. How would you fare in his weight-loss program, described in chapter nineteen, featuring a simulation gym, coaching from Max, and a lockout system that restricts his diet and forces him to exercise? Wade’s OASIS pass phrase is revealed on page 199, at the end of chapter nineteen: “No one in the world ever gets what they want and that is beautiful.” What does this philosophy mean to him at that point in his life? How is the novel shaped by the 1980s backdrop, featuring John Hughes films, suburban shows like Family Ties, a techno-beat soundtrack, and of course, a slew of early video games? Did Halliday grow up in a utopia? Discuss Bryce Lynch’s financial situation, rigged so that Wade could infiltrate IOI. When does Wade become willing to “die trying”? How did you react to the image of debtors being forced into indentured servitude? Wade doesn’t depend on religion to make moral decisions or overcome life-threatening challenges. What does the novel say about humanity’s relationship to religion? What sort of god is Halliday, creator of the OASIS universe? Despite their introverted nature, the book’s characters thrive on friendship. Discuss the level of trust enjoyed by Halliday and Og, and among Wade, Aech, Art3mis, Daito, and Shoto. How is true power achieved in Ready Player One? In the closing scenes, Halliday’s reward proves to be greater than mere wealth. What is Halliday’s ultimate prize? How did the rules of Halliday’s game help him determine the type of player who would likely win? In his quest for the three keys, Wade is required to inhabit many imaginary worlds, including movies, video games, and a simulation of Halliday’s childhood home. Which of these virtual realities appealed to you the most? What sort of virtual reality is provided by a novel?